It is important to give your rabbit a health check once or twice a month. As rabbits are notoriously good at hiding when they are sick! Although this is a good survival tactic in the wild! For pet rabbits, hiding their symptoms can make it hard for owners to know when to seek vet attention. It is easy to carry out a health check on your rabbit. First place the rabbit on a non-slippery surface or wrap in a blanket; never leave your rabbit unattended on a table as it will probably try and jump down, from whatever height. If your rabbit is hard to handle it can be easier to do this with the help of a friend. If you notice any problems during a health check, you should call your vet immediately and describe any issues you may have discovered. Your rabbit's eyes should be bright and clear. There shouldn't be any discharge or dullness. If you notice any discharge it could be a sign that your rabbit has a scratch on their eye, dental disease, ingrowing eyelashes or a problem with the eye itself. Either way, if you notice dullness, clouding or discharge, a trip to the vet is recommended. It is important to do a quick check of your rabbits feet! Things to look out for are blisters, ulcers, or redness. These are tell tale signs of sore hocks, a condition caused by lack of exercise and use of improper cage flooring or bedding. A healthy rabbits feet should be smooth and free of cuts, swelling and matting of the fur. You need to monitor the length of your rabbits nails, as in the wild, rabbits dig deep warrens. So naturally a rabbits nails grow rapidly to accommodate the constant wear and tear. 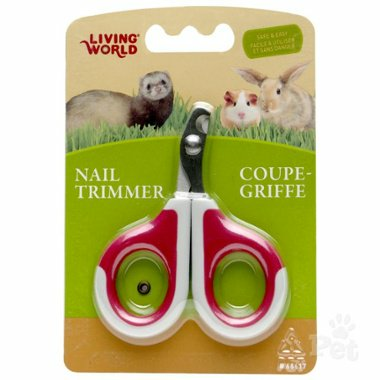 But unfortunately pet pet rabbits they often can’t wear down their claws fast enough, so it is vital that you clip your rabbit’s nails on a regular basis using Small Animal Nail Trimmers. The best way to safely trim your rabbit’s nails is to make a “bunny burrito” with a towel, identify the quick (or vein in the nail), and clip the nail without clipping the quick. It is always best practice to have a styptic powder or gel on hand to quickly stop bleeding if you accidentally cut the nails quick. A relaxed rabbits nose will twitch regularly because this helps to move the most sensitive organs in their nose allowing them to smell scents more efficiently. If you notice you rabbits nose twitching fast it could mean the rabbit is stressed or alert. Much like their eyes, a rabbits nose shouldn't be runny or have any discharge. You also should not be able to hear any breathing noses, if you notice any of the above, it could be a sign something isn't right. A rabbits teeth continue to grow throughout their life so it is very important to provide them with the correct diet, chews and toys or blocks like the Trixie Gnawing Stone to prevent their teeth from becoming overgrown. To check your rabbits teeth gently pull back on their front lip to get a closer look at their teeth. These teeth should not be overgrown, chipped or broken. The top and bottom two should both be the same length as the one directly next to it. Also check your rabbits gums to make sure that they are a healthy pink colour. Also if you notice your rabbit has bad breath this can be a sign of much larger issues. Another thing to check is your rabbits back side for any dirt on the fur. If it is dirty it can be a sign that your rabbit's diet is too rich and they consequently don't need to eat the caecotrophs they produce, and so these will not be removed and will build up. But there are a variety of reasons why rabbits get dirty bums. 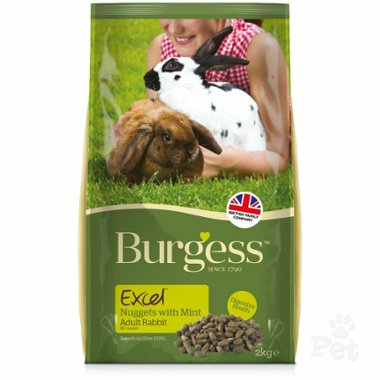 It is important to feed rabbits a varied diet of hay, vegetables and healthy pellets that are rich in fibre like Burgess Excel Adult Rabbit Nuggets. Your vet is the best person to speak to if your rabbit's rear is frequently soiled. It is important to do something about this especially in summer, as at this time of year it will quickly attract flies to lay their eggs, which hatch into maggots within a matter of hours. This causes a condition known as fly strike, and it can very quickly prove fatal to your rabbit. You should take the time to brush your rabbit every few days in order to remove any loose fur and prevent hairballs. 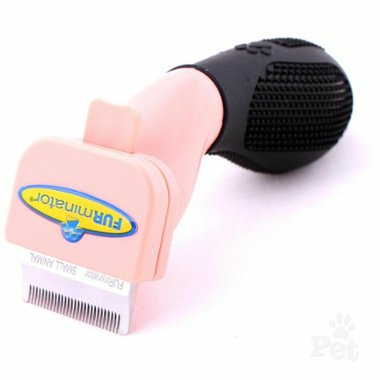 It is good to have a slicker brush or a deshedding tool like the FURminator Deshedding Tool. But the frequency and amount of grooming greatly varies from breed to breed. Angora or long hair breeds require more grooming than short hair breeds in order to keep their fur clean, glossy, and free of mats. When you are brushing your rabbit there are a few things you should look out for as your rabbits fur health is a great indicator of their overall health. Their fur should be clean, and free of dirt. It should be free of flaky skin or any dandruff, white matter or brown material. There should be no bald patches, or things moving in the coat. It is vital that you monitor your rabbit’s body condition by running your hands over their ribs and backbone. A healthy rabbit’s hip bones, ribs and spine should be easy to feel but rounded, not sharp. They should also have no abdominal bulge and a flat rump area. The stomach of your pet should also not be swollen or distended, and they should be free of cuts, inflammation, bruises and unexplained lumps. A small torch or your phones torch can help you get a good look inside your rabbit’s ears. Keep your eye out for wax or dirt buildup. If you see a dark crusty material this may be an indication that the rabbit has ear mites and needs treatment from a veterinarian. If the ears need a general cleaning, use warm water or saline solution and a gauze or cotton pad to carefully wipe out the ears. Their ears should also be free of any odours. It is good to regularly health check your rabbit so you get an idea of what is normal for your rabbit. And even if your rabbit exhibits all of the signs of good health and condition, annual visits to a rabbit savvy vet are important to help ensure your rabbit's continued health and happiness for years to come.